Every few years a few truly great general interest books on technology, human problems, and social progress come along. 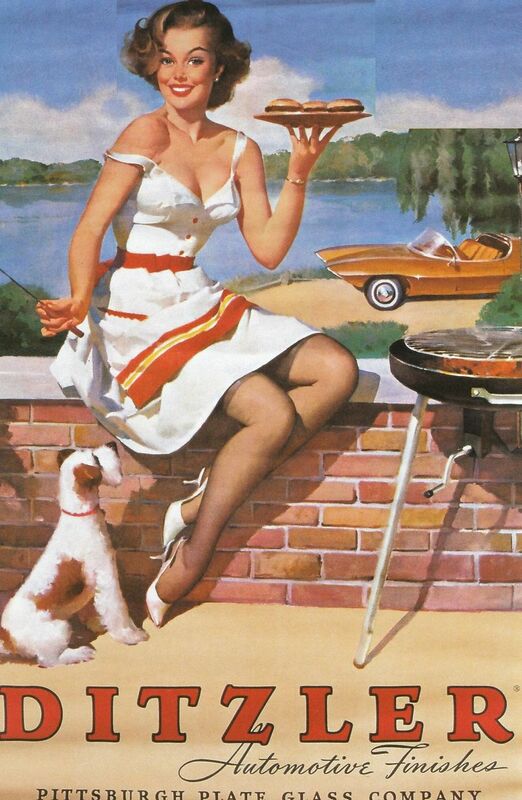 Books like Carson’s Silent Spring, 1962. Toffer’s Future Shock, 1970. Piel’s The Acceleration of History, 1972. Drexler’s Engines of Creation, 1986. Moravec’s Mind Children, 1988. Hawken’s The Ecology of Commerce, 1993. Stock’s Metaman, 1993. Simon’s The State of Humanity, 1996. Brin’s The Transparent Society, 1998. Kurzweil’s The Age of Spiritual Machines, 1999. Rhodes’s Visions of Technology, 1999. Friedman’s The Lexus and the Olive Tree, 1999. Wright’s Nonzero, 2000. Lomborg’s The Skeptical Environmentalist, 2001. Wallace’s Moral Machines, 2008. Kelly’s What Technology Wants, 2010. Pinker’s The Better Angels of Our Nature, 2011. Kenny’s Getting Better, 2011. Ridley’s The Rational Optimist, 2011, and Bowles and Gintis’s A Cooperative Species, 2011. Now comes Diamandis and Kotler’s Abundance, 2012, a member of this rare and special class. To read books like these is to improve your ability to think, to see viable futures, to create and take control of your life’s path, and to live in a way that best advances society as a whole. In short, they upgrade your world view, by addressing the most important questions and conversations of our era. How do we best steer our accelerating technologies to create social progress? What are the great human problems our technologies create? What greater problems can they solve? How and why does technology improve itself even in spite of human failings? What is technology becoming, and how is it changing us? 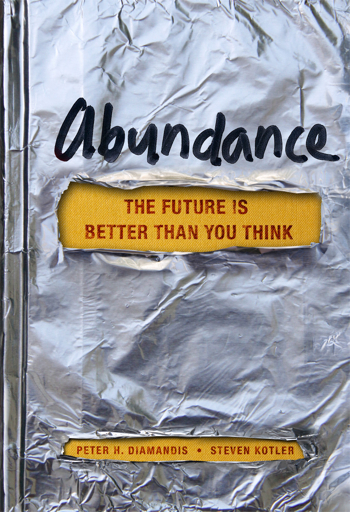 Abundance helps us understand that we are not entering a “post-scarcity” world, but rather an abundance world. Scarcities and competitions will persist at the leading edge of civilization, and the winners will profit more than everyone else. But at the same time, our accelerating technologies are creating vast new abundance in living standards, and so much capability to take care of our environment, that the scarcities of today will be distant memories just a few generations from now. As long as we rise to the challenges. 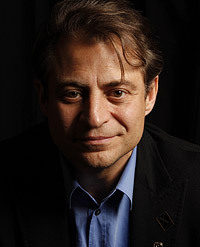 Peter Diamandis, Founder and Chairman of the X PRIZE Foundation, Co-Founder and Chairman of Singularity University, and pioneer of the personal spaceflight industry, is eminently qualified to write this book. He is both a visionary and an accomplished entrepreneur, with a passion for new horizons, and a deep ethical interest in global development. His practical, results-oriented perspective permeates the book, and frankly, it jumps right into the reader’s psyche long before the end. 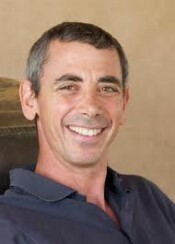 His co-author, Steven Kotler, is a writer of vast experience, and it shows. Of all the books listed above, Abundance is perhaps the easiest to read, and digest. The writing is amazingly straightforward and clear. You can finish it in just a few evenings. If you are an influence leader with your family and friends I recommend getting a copy for them as well. If they are reading- or time-challenged, get them the MP3 audiobook. For special books like this, I recommend listening to the audiobook first in your car, then reading and annotating the book a week later. There’s no better way to deeply understand important ideas than to hear them more than once by different modes, then to summarize them when done. If you can, post your thoughts on the book in an Amazon Review, and discuss and debate it with others when you are done. If Diamandis and Kotler don’t do a video documentary to follow up this achievement, that would be a shame. The images and themes in this book are so well chosen, I’m convinced that Abundance: The Movie would change millions of lives and minds. The book shows how to get beyond hand-wringing and finger pointing for those who want to create a better world. Instead, we can actively seek out and celebrate examples of what works, incentivize innovation, aggressively back the best of the innovators and disruptors, and help clear the many roadblocks out of their way. I found Abundance to strike a realistic balance between sustainability and innovation. It makes clear we aren’t just here to be change-averse stewards of the past, or the status quo. Humanity craves more freedom, intelligence, ethics, and ability, not just for us, but for every living creature. Increasingly, we’re figuring out how to achieve what we dream. 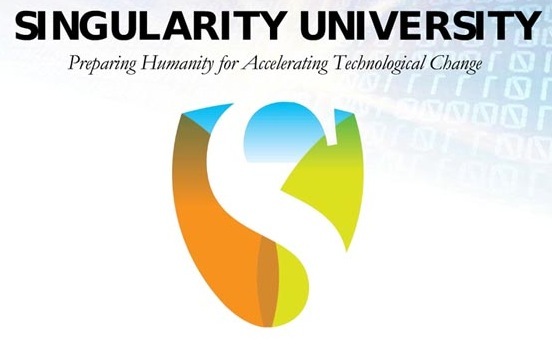 Singularity University, co-founded by Peter and the eminent futurist and innovator Ray Kurzweil, is an educational and entrepreneurship organization dedicated to defining and addressing the grand challenges of human development. I am an advisor at SU. Every year I’m privileged to meet the 80 students of their Graduate Studies Program, and every year I’m blown away by the vision, drive, ethics, and creativity of these students. I’ve also known several of them before they attended SU, and it’s magical to see how much more practical and effective they become once they’re part of the SU network. Peter and Ray have created an amazing environment, and it begins with the right mindset, the right world view. Unless you can afford to attend their GSP or their shorter Executive Program, reading this book is the closest you’ll get to creating the Singularity University mindset for yourself. I have been thinking about these issues as a technology foresight professional since 2000, going on 12 years now. This book left me significantly more optimistic, practical, and empowered than when I began, and I’ve got several friends now reading it as well. Abundance, as I see it, has four main themes: 1. Mental blocks that keep us from seeing the world as it really is, 2. Grand challenges of global development, 3. Accelerating technological progress, and 4. Accelerating human ingenuity. Part One tackles the mental blocks that keep us from seeing accelerating change, and challenges us to improve our perspective. I think these 48 pages are the most important, for most people. If you have time for nothing else, just read this section. 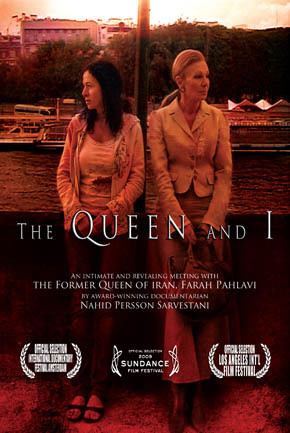 Part One helps us see how our culture and our human biases conspire to keep us cynical, passive, fear-driven, selfish, ignorant, and disconnected. Meanwhile planetary acceleration continues faster every year, with or without the awareness of us as individuals, organizations, or even nations, and it’s a strongly positive sum game for global civilization. The Chinese researcher who discovers the cure to the cancer that your partner will get in twenty years will soon be your hero, or she should be. The more innovative, wealthy, intelligent, and “cooperatively competitive” the world gets, the more human conflict migrates to where it belongs, at the leading edge, in the world of creative ideas, not in the realm of human rights, securities, and freedoms, which become increasingly clearly protected and defined. Will America turn away from its long history of openness to immigrants, freedom, thought leadership, and technological greatness, and increasingly reward ideology, bigness, and cronyism? The choice is before us. Parts Two through Six alternate the last three themes. We’re introduced next to Exponential Technologies, and we begin to appreciate the disruptions to come, and the special tools that every wise society needs to employ. The reader considers a special set of Grand Challenge problems, and their looming solutions: The final spurt of Population Growth (in Africa and Asia only, it’s pretty much over everywhere else). Sanitation. Water. Food. Energy. Education. Health Care. Freedom. Potential pitfalls of exponential technology like the growing rich poor divide, corruption, pandemics, military conflict, and terrorism are relegated to the Appendix. This is nervy yet ultimately a smart call. Abundance focuses our attention on all the problems that can be noticeably improved or eliminated in the next ten to twenty five years. The problems in the Appendix can and will be solved as well, but likely not nearly as fast. The fourth theme, rising human ingenuity, collective intelligence, and cooperative competition (institutions and rules for competition that maximize GDP and innovation per capita, see Acemoglu and Robinson, Why Nations Fail, 2012, for a lot more on that) is treated in two groups of three chapters, so in essence it’s the largest theme of the book. While Diamandis and Kotler make an excellent case that our Grand Challenge problems can be solved. They also make it very clear that these solutions won’t happen if we don’t keep striving. As always, a subset of motivated, visionary, talented, and practical entrepreneurs, innovators, policymakers, and philanthopists will lead the way, and the billions who are presently marginalized will do most of the heavy lifting, in pursuit of a decent quality of life, not the diversions of luxury. Books like Abundance help us to get our bearings in a sea of change. They remind us where we are, and where we are going. The more people read them, the more purposeful and effective we all become. We’ve got big problems to solve, and Abundance is one of the best guides to the near future that you could ever ask for. I hope you’ll read it, learn it, and share it far and wide. Let me end with Peter’s 16-min TED talk, which is a great entry into the book.